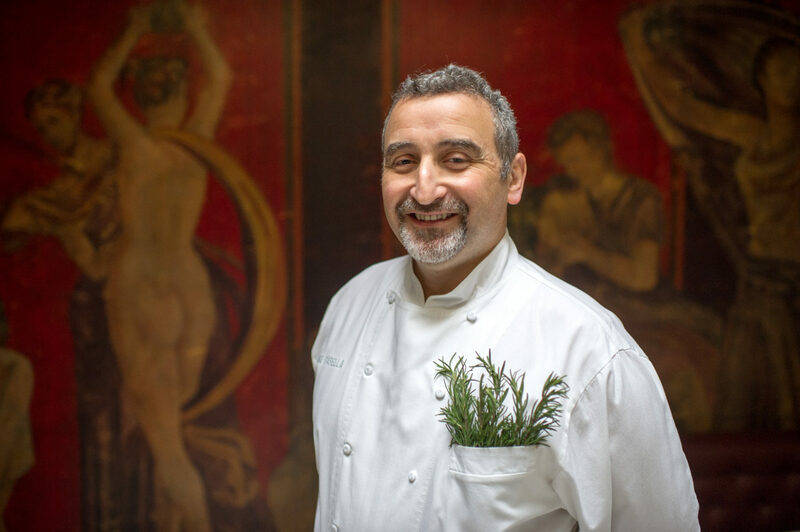 Cesare Casella is best known as the chef with the rosemary, since he is rarely seen without a small bouquet springing from his pocket. This signature touch reflects his dedication to herb-inflected cuisine, fresh ingredients, and his childhood in Tuscany. Cesare is being inducted to the HRN Hall of Fame for his amazing ability to build community in the food business. He works tirelessly to share his amazing breath of knowledge with anyone and everyone. He is the Dean of Italian Studies at the International Culinary Center and the Chief of the Department of Nourishment Arts at the Center for Discover. He also cures long-age prosciutto hams, using 100% heritage breeds, raised on pasture.